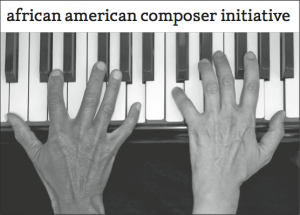 The African American Composer Initiative (AACI), founded by a group of classical and jazz Bay Area musicians, is dedicated to performing the rich bounty of music by African American Composers, commissioning new works, and sharing this music in local concerts. Committed to the musical life of East Palo Alto and surrounding communities, the musicians present annual concerts to benefit Eastside College Preparatory School in East Palo Alto, CA. The AACI makes all of its past performances available through video on its website, in addition to providing information about how to access copies of the sheet music, with the hope of sparking further explorations and performances. Here’s a sample video clip from the 2015 concert. Dizzy Gillespie (arr. by Valerie Capers) – “Night in Tunisia”.